How do I get my game back on Steam? 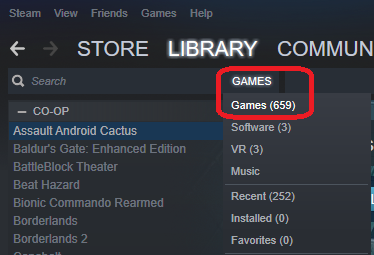 I formatted my computer recently and when I logged in only a couple of the games I had were in my library. The one I am missing needs me to pay to get it back again. The game is Total War: Warhammer II. 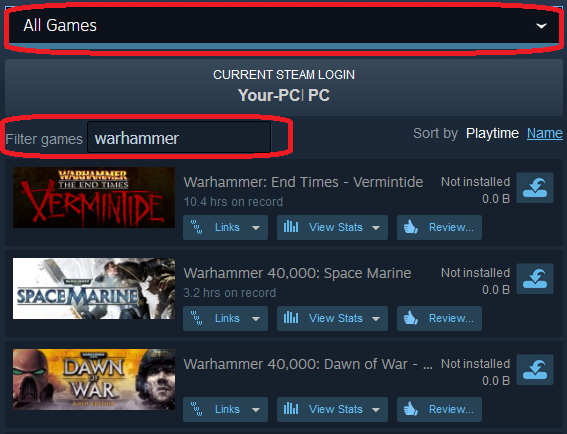 It is possible that a filter in Steam is hiding some of your games. Ensure that your filter is set to show all games. If that does not solve your problem, I suggest logging into Steam through your web browser to verify whether or not the game is in your account. Once there, click on the purchase of your game and you will be presented with a 'help' screen for that purchase. You should then see commonly asked questions. Click I have a question about this purchase and follow the instructions you are given. 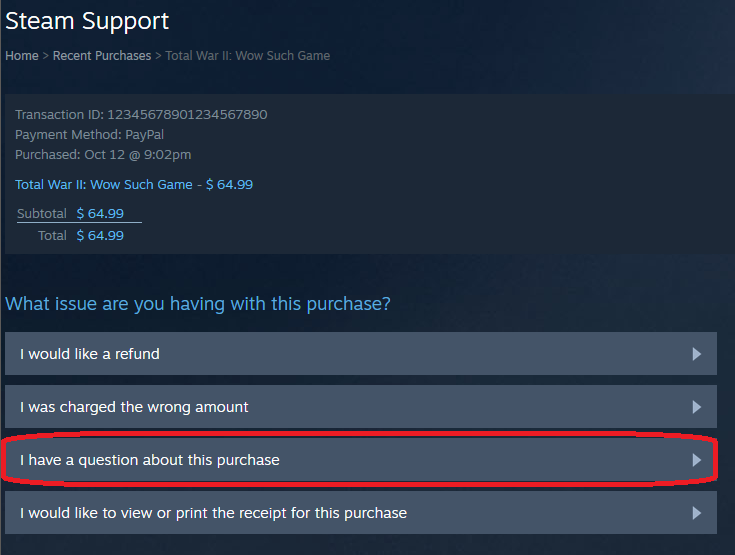 If you are unable to find your game in the transaction history, it is possible that you never purchased the game. If someone else shared the game with you via Steam Family Sharing then sharing may have simply expired, causing the game to be removed from your library. View what games people have shared with you here. Still not satisfied? 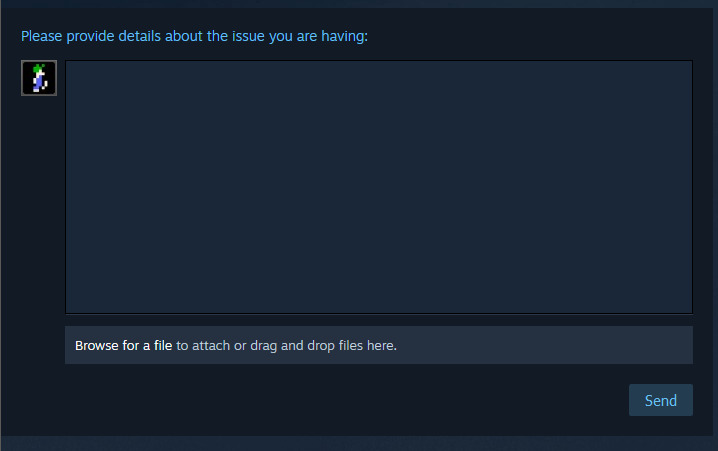 Try using the Steam Support page. To contact them directly, keep clicking on the various options you're presented with until you land on one which allows you to contact them directly. (even if the category isn't exactly what you're having an issue with) Clearly explain the issue you are having and hit Send! Do I have to pay again for a game I bought on a different PC with the same Steam account? How to make Steam allow automatic login even when not connected to the internet?